Dwight Jay Osgood, 37, makes his first appearance in court on January 16, 2019. A Clifton man accused of killing his girlfriend last month was indicted Wednesday by the Penobscot County grand jury on one count of intentional or knowing murder. 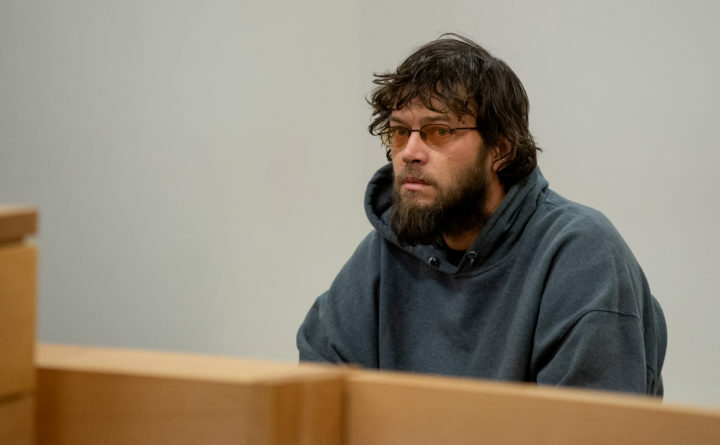 Dwight Jay Osgood, 37, allegedly shot and killed Kary Dill, 35, on Jan. 14 at the home they shared next to the Clifton General Store on Route 9, where Dill worked, according to the Maine State Police. The couple had lived together for about four years. Osgood is being held without bail at the Maine State Prison, where he is being boarded by the Penobscot County Jail. Information about why Osgood is there was not immediately available. On Jan. 16, when Osgood made his first court appearance, Superior Court Justice William Anderson found there was probable cause to charge Osgood with the murder. Anderson also ordered the affidavit and search warrants in the case sealed. The case has been classified as a domestic violence homicide. Osgood is next due in court on March 28 at the Penobscot Judicial Center.